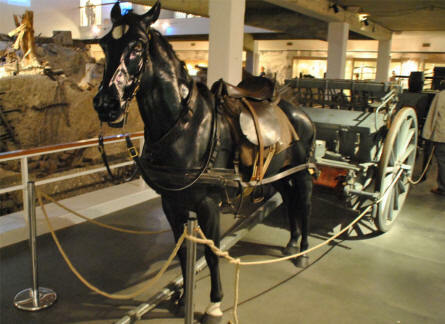 A horse and a horse-drawn gun-wagon displayed at the Memorial de Verdun. One of the canons displayed outside the Memorial de Verdun. 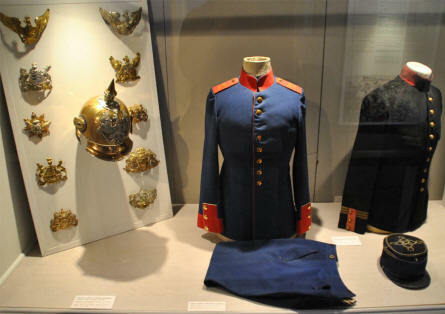 Some of the World War I uniforms displayed at the Memorial de Verdun. 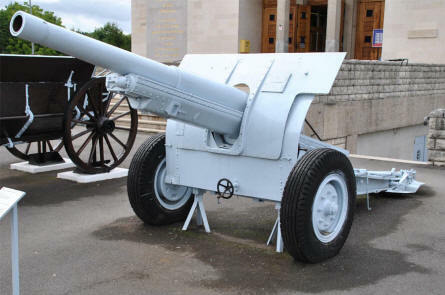 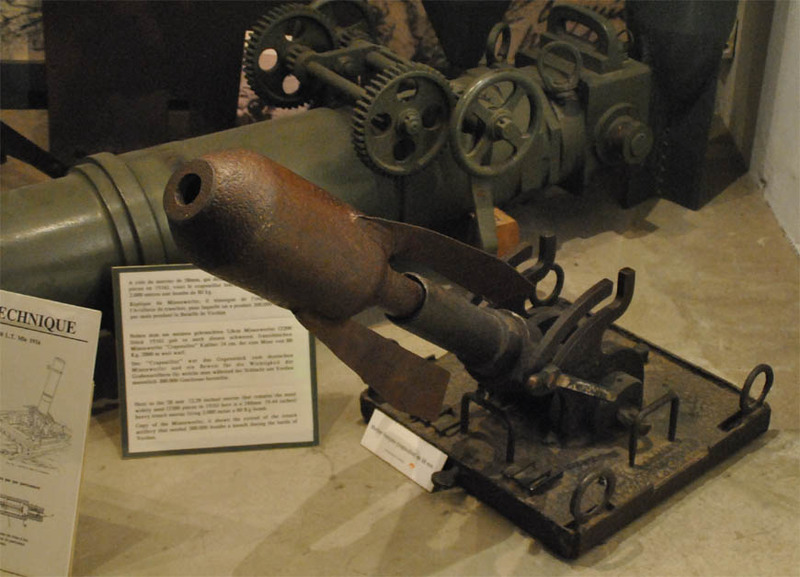 A medium size World War I grenade launcher displayed at the Memorial de Verdun. 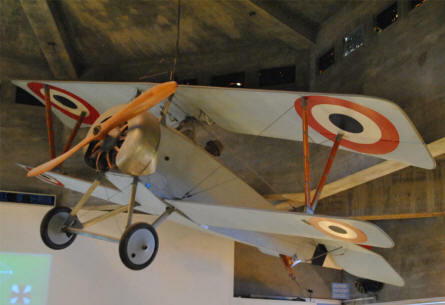 A full-size French World War I fighter aircraft displayed at the Memorial de Verdun. 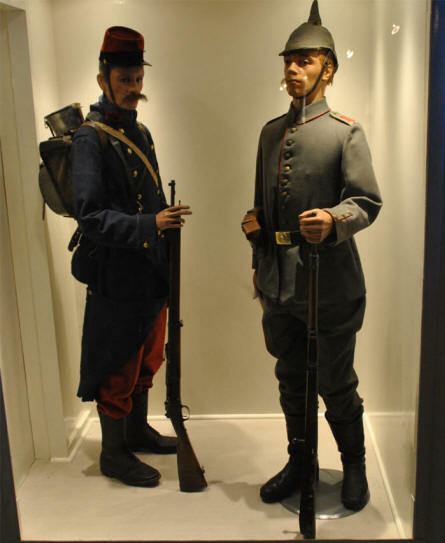 A French and a German World War I soldier displayed at the Memorial de Verdun.